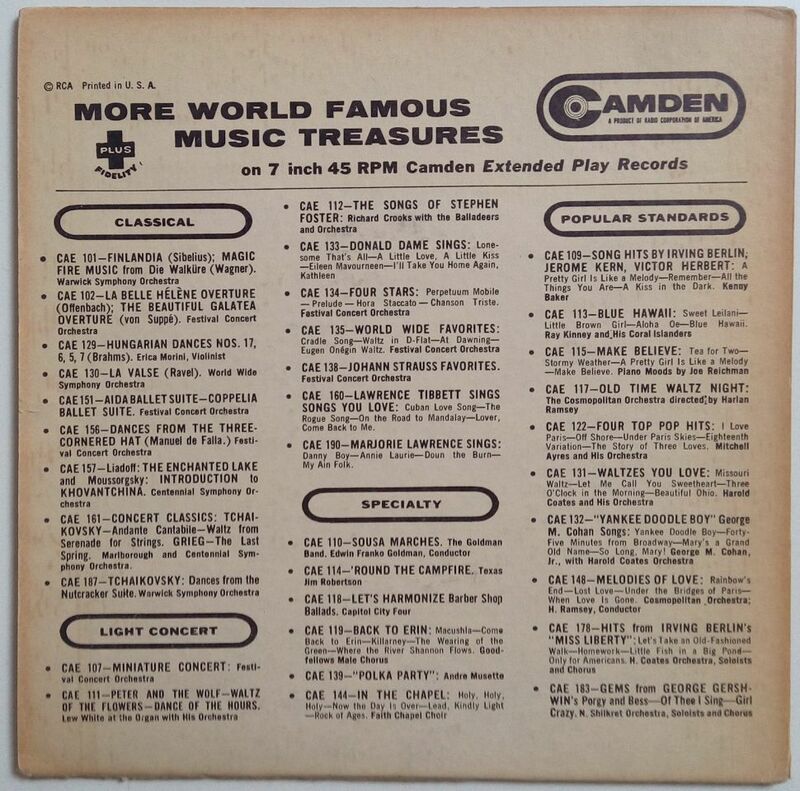 This beautiful EP on Camden records is the pride of my collection, because in fact I myself discovered this Warhol cover. In 2006 I visited Kdx Fairs!, a famous record fair in Ghent, Belgium. I was browsing a box of old American jazz and classical EP’s, hoping to score a Latin Rhythms or Progressive Piano (which at that time I still believed to exist). 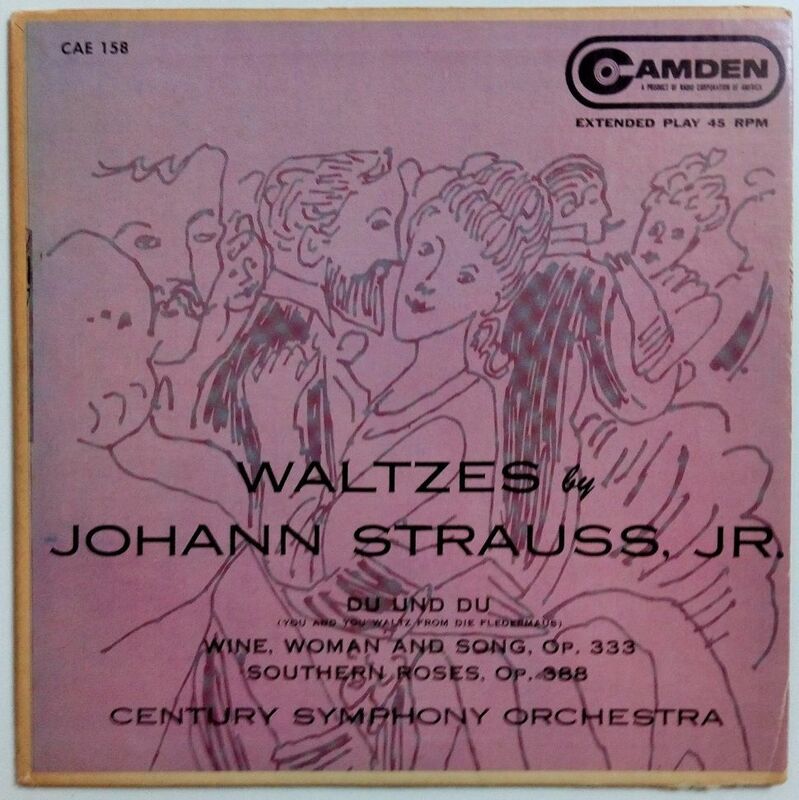 I was really astonished when I saw this Waltzes by Johann Strauss Jr. record. I also collect magazines and books with Warhol illustrations, so I was very familiar with his drawing style in the Fifties. I sent a picture to Paul Maréchal, who I knew was working on the catalogue raisonné of record covers, and to chief archivist Matt Wrbican of The Warhol Museum. Neither had ever seen this cover before. Matt Wrbican confirmed it to be a Warhol drawing, and then Paul Maréchal included the record in his catalogue. Later I was lucky to find a second copy, and I donated it to The Warhol Museum. Matt wrote about it in his blog.